That’s why the Bank On Yourself strategy for saving for college is becoming more and more popular. The Bank On Yourself strategy comes with guarantees. The Bank On Yourself strategy is based on the living benefits available from dividend-paying high cash value whole life insurance policies. How well does the Bank On Yourself strategy work? If you have kids (or grandkids) who’ll be going to college in a decade – or even in the next few years – you’ll be particularly interested in the reviews by two Bank On Yourself families who are using the Bank On Yourself strategy to pay the high cost of going to college. Shay and Christi Bowling of Amarillo, Texas, have demonstrated the incredible versatility and flexibility of a properly-designed Bank On Yourself-type policy. First, their Bank On Yourself Authorized Advisor showed them how to eliminate $81,000 each year in interest to finance companies on their personal and business loans, by borrowing against the cash value in their policy. Second, Shay and Christi now have a rock-solid plan to pay for college for their two kids. In their review of Bank On Yourself, Christi and Shay were over-the-top excited about the power and flexibility of the strategy their Bank On Yourself Authorized Advisor created for them. And when he showed them the third benefit of this strategy, they practically started doing backflips. In addition to getting them out of debt and giving them a plan to pay for college for both their children, their Advisor showed the Bowlings how Bank On Yourself could be used to create a guaranteed retirement income stream – even though retirement is still a few years away for Shay, an air traffic controller, and Christi, who owns franchises for two dry cleaning establishments in Amarillo. Christi and Shay are looking forward to having more than $3 million in cash value in their policy when they reach age 65. That could give them $185,000 a year in potential income – tax-free, by the way – well into their 90s. Read the story of how Shay and Christy Bowling are using their Bank On Yourself policies to pay for college – and so much more – here. How Does the Bank On Yourself Strategy Help You Safely Save for College? The Bank On Yourself strategy uses a specialized type of dividend-paying whole life insurance policy with specific riders added to it that help your cash value grow much faster than a run-of-the-mill whole life policy, especially in the early years. And get this: Bank On Yourself-type policies increase in value by a guaranteed and predictable amount every single year. And they’ve been doing that, through all economies and market crashes, for more than 160 years. So, Bank On Yourself-type plans give you guarantees of how much you’ll have available – in cash! – on the day your child starts college. For your child, it’s a guaranteed college fund. 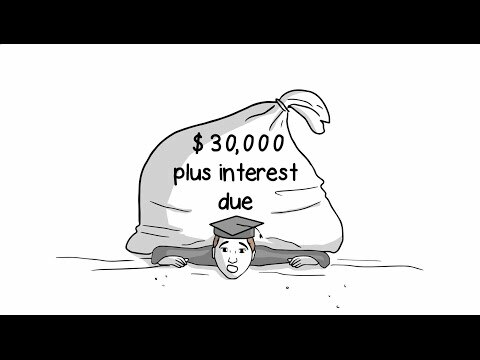 Here’s a 4-minute video that explains saving for college the Bank On Yourself way. If you have a child in high school – or even grade school – it’s worth 4 minutes of your time to check this out. When Dave Corey’s children go off to college, this hard-nosed medical device salesman will cover the costs by letting his kids borrow from his policy – the “Bank of Dad.” His family will be able to pay for college on their terms – without going broke. Plus, Dave borrows from (and pays back to) his policy every six months to pay the family’s real estate taxes. Thus he’s bypassing the escrow company that would otherwise hold their money and earns interest on it for themselves. Now Dave recaptures that interest into his policy. And Dave is on track to a six-figure-a-year retirement income he and his wife can predict and count on. All thanks to the Bank On Yourself safe wealth-building method. To learn how he does it, check out Dave Corey’s three-minute Bank On Yourself video testimonial. He explains how he’ll be handling college costs in this clip, filmed as part of a national book tour for Bank On Yourself. Will a Bank On Yourself Plan Work for You? Why not? The Bank On Yourself strategy – the very same concept that Shay and Christi Bowling, and Dave Corey review here – the strategy hundreds of thousands of other Bank On Yourself plan owners praise – is available to you. Wondering where you’ll find the money to start? There are at least eight ways to fund your Bank On Yourself policy, so don’t rule yourself out for that reason. Get the facts. Download our Free Special Report, 5 Simple Steps to Bypass Wall Street, Beat the Banks at Their Own Game and Take Control of Your Financial Future. Your next step, if you like what you see, is to learn how a custom-tailored Bank On Yourself strategy can help you reach your financial goals. You can find out with no cost or obligation. Just request your free Analysis. You’ll be referred to a Bank on Yourself Authorized Advisor – a life insurance advisor with advanced training in this concept – who can answer all your questions. With your child’s educational future at stake, you’ll be so glad you looked into the Bank On Yourself method of saving for college … You have nothing to lose and a world of financial security to gain.